Newcomer Family Obituaries - John J. 'Jack' Dalton Jr. 1932 - 2019 - Newcomer Cremations, Funerals & Receptions. John J. 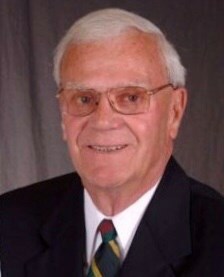 "Jack" Dalton Jr.
John Joseph "Jack" Dalton Jr., age 86 of Huber Heights, passed away Monday, March 18, 2019 at Hospice of Butler and Warren Counties. He was born November 28, 1932 in McKees Rocks, Pennsylvania, the son of the late John and Mary Dalton. He is preceded in death by his sister, Virginia Ann Hire. Jack is survived by his wife of 64 years, Nancy; children, Susette (Bill) Redwine, John "Jay" (Julie) Dalton; grandchildren, Brett (Emilee) Redwine, Deveney Redwine; great-grandchild, Will Redwine; as well as many other family members and friends. Jack is a veteran of the United States Air Force and served his country during the Korean War. He was also a member of the Knights of Columbus, American Legion and the VFW. Jack was the first co-chair and helped establish the St. Peter's Festival and Queen Competition. He was also a religious education teacher at St. Peter for many years, teaching junior high students. Additionally, he assisted in many Campfire Girls events in Huber Heights. Visitation will be held on Monday, March 25, 2019 from 10 am to 11 am at St. Peter Catholic Church (6161 Chambersburg Road, Huber Heights, Ohio 45424). A Mass of Christian Burial will take place at 11 am. Entombment will follow in Calvary Cemetery. A Celebration of Life will also take place on Wednesday, March 27, 2019 from 6-8 pm, preceded by a 5 pm Mass at Jesus Our Savior Catholic Church (315 Battson Oates Drive, Morehead, KY 40351). In lieu of flowers, please consider a contribution to St. Peter Catholic Church or to Jesus Our Savior Catholic Church in Morehead, KY.
To share a memory of Jack or leave a special message for his family, please click the "Share Memories" button above. Add your memories to the guest book of John Dalton Jr..
My sincerest sympathies to you. With you and Jack living in OH, I still vividly remember me tending to the store while your Dad would come visit You and Jack for a few days and then get behind the wheel of a yellow bus and drive it to Nortonville for benefit of the school district. I really enjoyed those times I was able to see you both on those trips you made from OH to KS to visit your parents. Obviously, the most recent trip was when You and Jack attended your class reunion. My Sincerest Sympathy to you and your family. Nancy and family please accept my most sincere condolences. I will certainly miss seeing Jack’s smiling face at mass. He contributed so much to the activities and growth of St Peter parish! We send our sincere sympathy to all of you. I always have liked being around Jack. He was a special and loving person. He used to say that he and Nancy would like to come to visit us in Belize. Sorry to hear of Nancy's failing health. Hope she can handle Jack's death alright. Give our love to her. Our thoughts and prayers are with you. We will have a Mass said for Jack here in Belize. lots of laughs and some sangria for Grandma. If I could describe Jack with one word it would be “dynamic”. I remember seeing Jack at the PGA Senior Open golf tournament at NCR Country Club. We sat on a hill and watched the golfers for about an hour. I couldn’t tell you what we talked about but we talked nonstop the whole time. I remember thinking then how lucky I was to have met this great guy. Glad our paths crossed in this life Jack! Was sorry to read about Jack. Know we haven't been in touch lately but wanted you to know I have not forgotten you. Always a fun time when we got together. May you know comfort in the love and friendships he kindled with so many. I will always cherish his wit and stories that he regaled us with. My thoughts and prayers to all of you at this difficult time. Some of my best childhood memories are from growing up on Belmar. The summer mornings of hearing him and my dad on the porch and Jack in his pink shorts from just finishing mowing the grass. I dont think he ever wore another color after we giggled together about it. Jack and Nancy were the neighborhood watch. If we were grounded from outside, they knew. We would catch Nancy peeking from the living room addition windows and we were busted! As an adult I have always made sure I found a neighborhood like I had so my kids could feel as safe as I did and have as much fun with neighbors like we did. The day we moved out we lost touch with everyone. These are the times I look back and wish for another day back on Belmar with everyone again. Sorry for the families loss. He was a incredible man and will be missed.